Sgt. 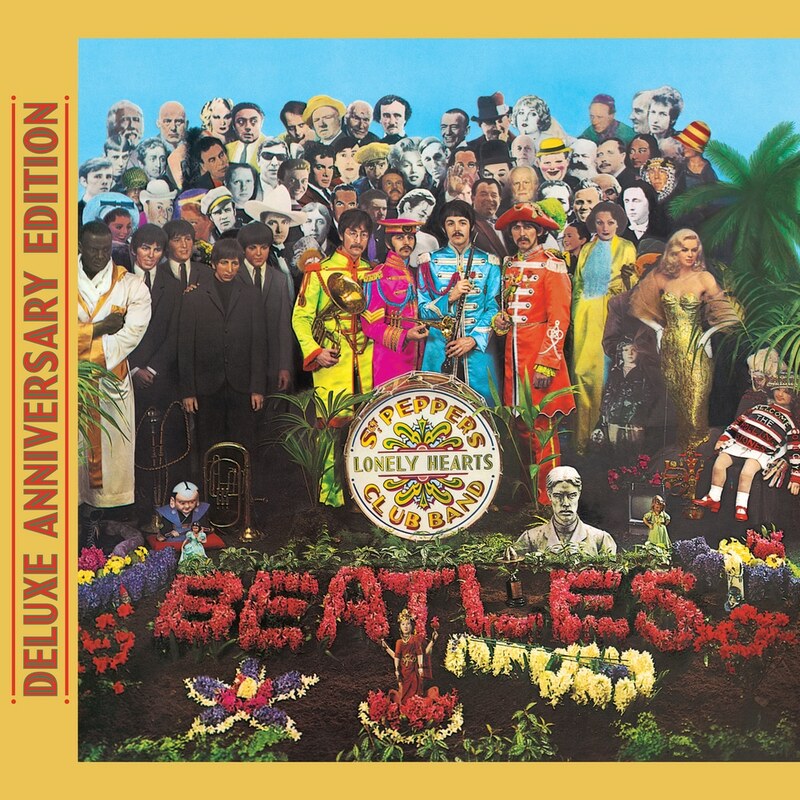 Pepper's Lonely Hearts Club Band is considered to be one of the major canonical works of 20th-century popular music, seeing The Beatles change the landscape of rock n' roll with one fell swoop in 1967. This psychedelic concept album contains such memorable classic songs as With A Little Help From My Friends, Strawberry Fields Forever and A Day In The Life, all lovingly remixed by George Martin's son Giles Martin. Martin's new stereo mixes breathe new life into the album that was originally mixed in mono for vinyl release, bringing depth and presence to the somewhat lifeless stereo version most of us have come to know. Also included are several session outtakes, alternate versions and instrumentals. "Above all, though, the album represented accord and imagination as means to enlightenment – a last bulwark of agreement before the dark set in. We have lost a lot since the summer of 1967, including any more chance of being naïve. But now, thanks to Giles Martin, we can hear the Beatles' apogee as it was always meant to be heard. That won't save the world, but it can still beguile us, and that remains a generous miracle." "Giles Martin’s remix is a vast improvement on the old stereo version – more muscular, with an unexpected emphasis placed on Ringo Starr’s drums – although the original mono mix, also here, is the one with the Beatles’ fingerprints on it." Disc 2, Track 12 – contains monophonic material - ie., both channels are identical.